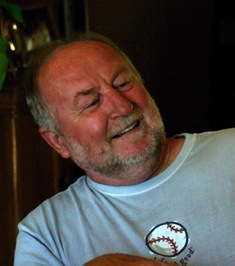 I am John Swol your "friendly" Webmaster and I have lived in Plymouth since 1986. After graduating from Taylors Falls High School I joined the US Navy and served on the aircraft carrier USS Shangri-La (CVA-38) as a Radarman and ECM (electronic counter measures) technician from 1966-1968. After my naval tour ended, I worked in data processing in a variety of roles for Northwestern National Bank/Norwest/Wells Fargo for 38+ years before retiring in 2007. PBYR Picture Gallery – click on the picture you wish to see. 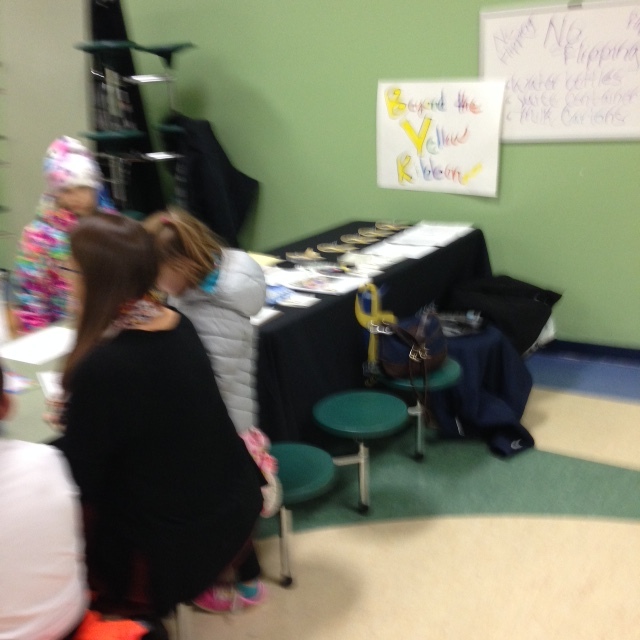 Mayor Slavik, “a celebrity bartender” working hard for Plymouth Beyond the Yellow Ribbon at the Eat Shop. Plymouth dedicates new Veterans Memorial at June 29, 2015 Ceremony. Mayor Slavik proudly displays the 5 Year appreciation award received from General Nash and the BYR program. This award will be placed in a glass case at Plymouth City Hall. In January, 2016 PBYR agents note increasing display of the BYR logo–be sharp!! “Si” , a 5th grader served as our assistant and he did a super job at the event!! 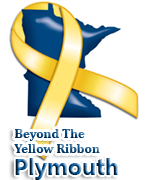 Plymouth Beyond the Yellow Ribbon is committed to support service members, veterans and their families. Please contact PBYR at telephone 612 716 2189 and leave a short message. Your call will be returned ASAP.